The KXStudio Desktop theme uses QtCurve as the rendering engine, making it available on Qt3, KDE3, Qt4, KDE4 and Gtk2 applications. There is a Metacity and XFWM theme as well. The icon theme used is Oxygen. You can get the entire artwork in the Downloads section, just like any other application from us. 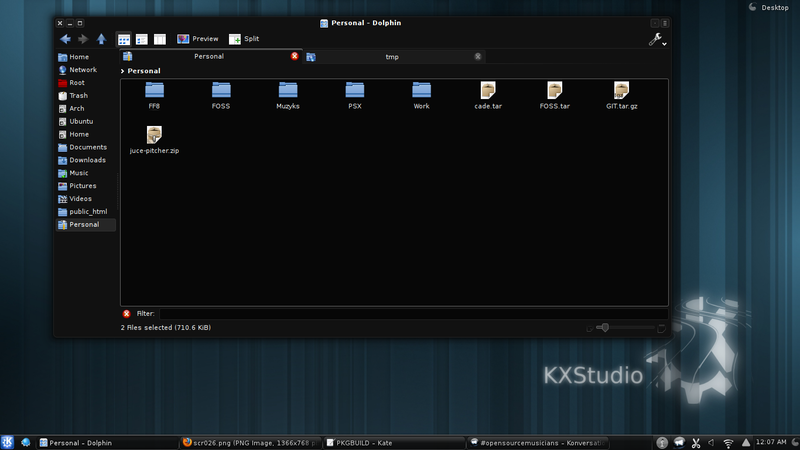 A XFWM decoration theme is available for XFCE. You might want to use 'Oxygen Mono Light|Dark' to get monochrome panel applets. Please note that Gtk3 is not supported at the moment. We're talking about making the whole system JACK dependant. 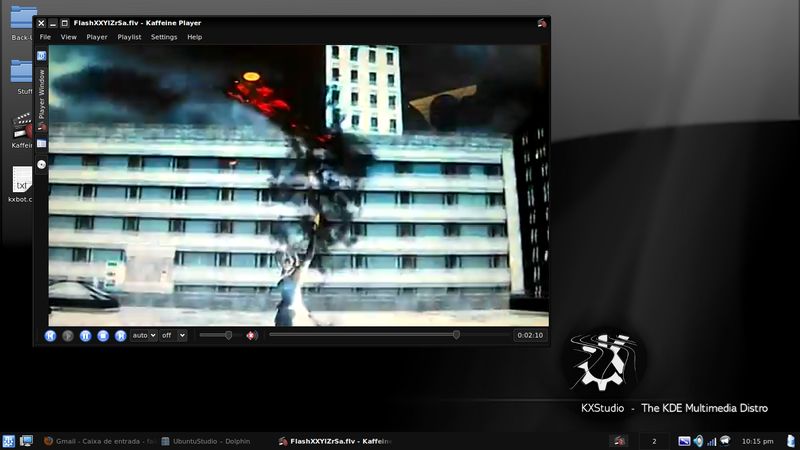 JACK is started as soon as the user logs in, using the last session settings or a pre-setup LADISH Studio. For non-JACK aware apps, bridges are used. PulseAudio works nicely with JACK, although it needs a bit medium/high buffer size in order to work properly. ALSA has a plugin for JACK too, although it's not perfectly stable. SDL-Audio applications will need either a SDL->OSS->JACK, SDL->ALSA->JACK or SDL->PulseAudio->JACK bridge, since there's no native JACK support in SDL. If you're able to get an OSS->JACK bridge working, use it as it is preferred. There needs to be a tool to manage audio projects (and non-audio as well), and LADISH already provides this functionality. By integrating with LADISH, we can set-up custom JACK settings, apps and connections, and load it at any time, even when login in. Cadence is our own app that controls the whole audio system, using JACK and LADISH. This is pre-alpha software though, and it's not even released yet (although it's already present in the KXStudio repositories for testing). 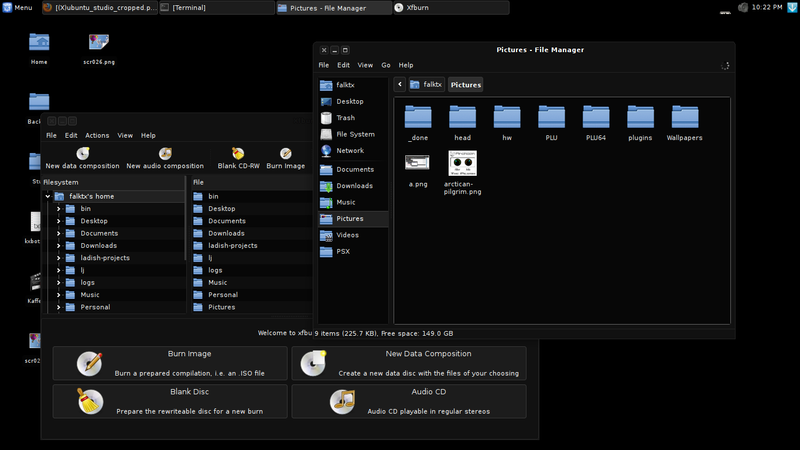 There are plans to make our own Desktop Enviroment (including Window Manager), based on Twindy. A *Mock-up* can be seen here.